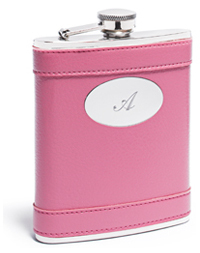 Here’s a hip and trendy accessory for your Bridal Party Girls, the chic and stylish Hot Hot Pink Flask! They take the traditional Hip Flask to a whole new level for the ladies with the haute pop of Hot Pink! Each Flask can be engraved to personalize for each of your Girls. One idea is to treat your Bridal Party to them just in time for your Bachelorette party! 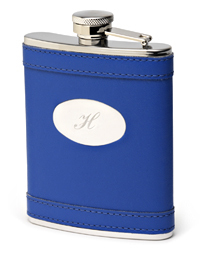 And no need to worry about the guys, as they could be rewarded with the Blue version of the Hip Flask! Pink, Blue, Black or Silver, this is a gift that is sure to be treasured by your Wedding Party. This is a nice idea…I would love one myself. It’s a great gift for other occasions as well.